RUNNING FOR MY LIFE: Our current major project is a documentary on Joe Aswat. Joe has cancer - diagnosed four years ago she has faught the disease with the help of edge of technology drugs and surgery. Six months ago she was recovering from having a four cm tumour removed from her brain when she received an invitation from Cancer Research UK to run the London Marathon. "Why not - I'l run it because I can". 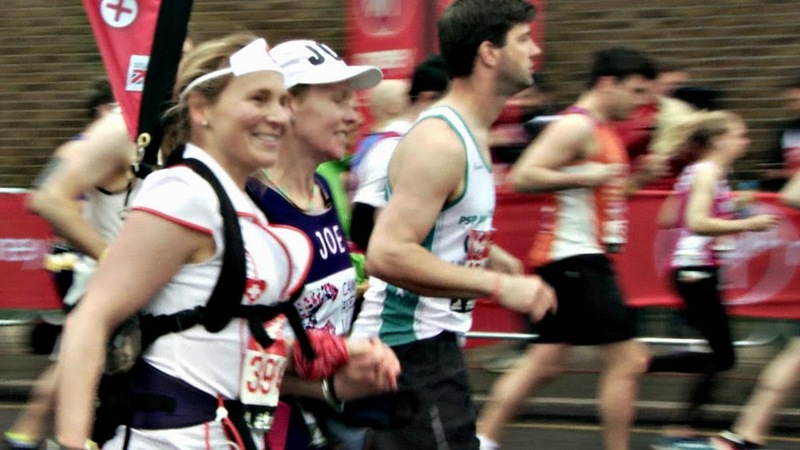 Our film tells Joe's story while following her succesful attempt to finish the London Marathon - A breeze, completed with her younger sister "dressed as a nurse!" in under five and half hours.